During a 2009 interview with cleveland.com, the singer-drummer of The Eagles was promoting “Long Road Out of Eden”, their first album in 30 years and that’s what one such journalist did and we’re sure they regretted doing so immediately afterwards. Q: On “Hotel California,” you sing: “So I called up the captain / ‘Please bring me my wine’ / He said, ‘We haven’t had that spirit here since 1969.’ ” I realize I’m probably not the first to bring this to your attention, but wine isn’t a spirit. Wine is fermented; spirits are distilled. Wine also has a lower ABV (alcohol by volume) percentage than spirits. Do you regret that lyric? A: Thanks for the tutorial and, no, you’re not the first to bring this to my attention — and you’re not the first to completely misinterpret the lyric and miss the metaphor. Believe me, I’ve consumed enough alcoholic beverages in my time to know how they are made and what the proper nomenclature is. But that line in the song has little or nothing to do with alcoholic beverages. It’s a sociopolitical statement. My only regret would be having to explain it in detail to you, which would defeat the purpose of using literary devices in songwriting and lower the discussion to some silly and irrelevant argument about chemical processes. Ouch…From his quick and detailed response, it seems like this was probably not the first time this has happened to Mr Henley. 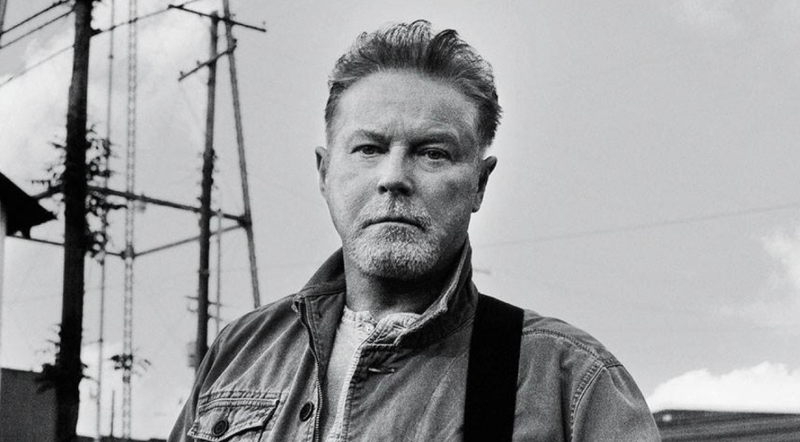 11 Comments on That Time a Journalist Asked Don Henley About a Lyric “Mistake” in The Eagles Classic “Hotel California”, And it Did Not End Well. Long lives poetry! Well said Don! Hotel California is a song about the Santanic church. We haven’t had that Spirit here since 1969. The wine represents Jesus. It isn’t about the Satanic Church, and it isn’t even remotely that simple. In the song, the Satanic Church itself is just an allusion, used as an even deeper metaphor for the modern world. Henley is using the Satanic Church symbolically to make a more universal point–Everything the world has conditioned us to desire is bad for us. To clarify–The whole world is a Satanic church. Saying Hotel California is about the Church of Satan is like saying Citizen Kane is about a sad little boy who loses his sled. Artistic License in poetry is most common, the questioner should have been prepared for that. A very uneducated in the literary field journalist, wonder about his credentials. Artistic license is common in poetry? Golly! Thanks for pointing that out. Next, you’ll be telling me water is wet. Seems the more money that is spent on education the more stupid the younger ones get. It would do, if we weren’t actually spending less and less on education. There’s actually a causal correlation here. There is always a metaphor that can be derived from fantasy. That’s the way poetry works. Hardest thing is finding truth in these kinds of lyrics which is mostly never there. So, asking about grammar in a frase based upon fiction is like asking the universe how it came to existence. You’ll never get the answer. It’ll just stare back at you. That has got to be the dumbest thing anybody has ever written. The interviewer who offended Henley wasn’t asking a grammar question. The subject was the difference between wine and spirits, and in turn, the interviewer’s inability to ascertain a metaphor. Last I checked, neither has anything to do with grammar. Also, the word is ‘phrase’, not ‘frase’. Pointing this out, I can see how you might confuse grammar with metaphor. I must say how much I love the last line of your comment. Nothing says ‘pretentious wanker’, quite like confusing grammar with something that isn’t, misspelling a simple common word, and making pseudoprofound pronouncements about ‘poetry’ than by topping it off by invoking ‘the universe’. I should have pondered these lyrics more, but I haven’t. My loss.